Healthy Kadai brings in the healthier version of Rajasthani Mirchi vada or Mirchi ke Pakode by air frying these in air fryer. Pakodas or vadas are best to have in summer season. These mirchi ke pakoda brings in the very spicy flavor. 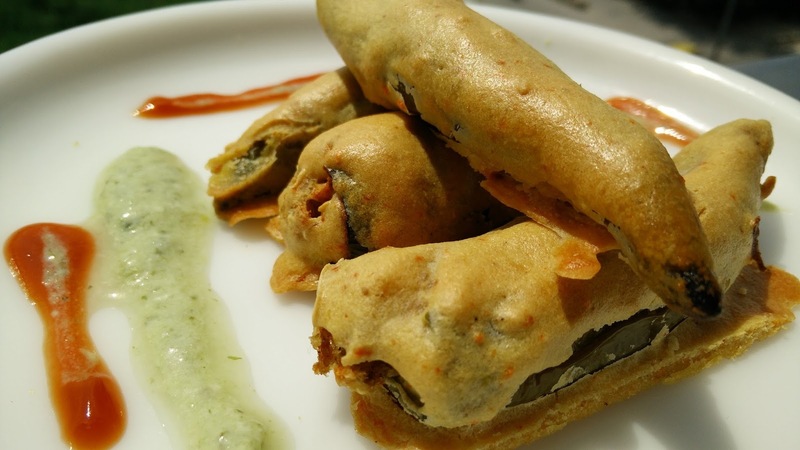 Rajasthani Mirchi vada are green chillies stuffed with potato, dipped in gram flour batter and are generally deep fried. 1. Wash and slit the green chilies. Mash the potatoes and add all the spices. Stuff green chilly with this mixture and keep it aside. 2. Make a smooth batter of gram flour and water and add little salt and red chili powder. 3. Coat the green chilly with the flour batter and put these on greased foil paper pcs. Keep the foil paper pcs in preheated air fryer at 180 degrees for 15 min. 4. Once cooked, remove the foil pcs from airfryer and serve the green chili pakoda or vada with chutney or sauce. Hi just a question please...when I make pakoras in airfryer, they stick on the foil n are hard to take out...even when the foil had been greased...how do u handle that please?